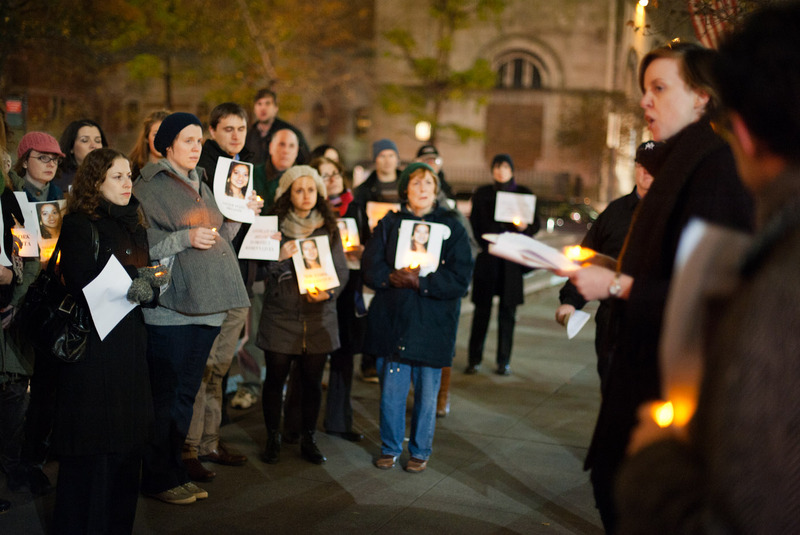 How It’s New York: These vigils took place in NYC on at Barnard on Monday, Nov. 19, and at the Irish Consulate on Tuesday, Nov. 20. And the issue of when life begins was a big one in this last presidential election. Read our first post about the vigils here. 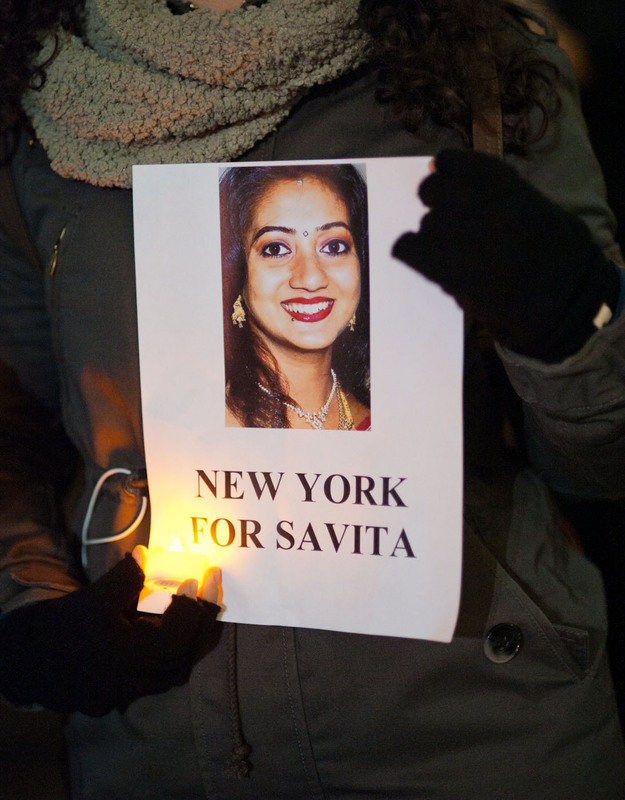 How It’s Irish: The cause for the vigil was the death of Savita Halappanavar in Ireland. Savita begged for an abortion when she was miscarrying, but doctors refused to take action while there was a heartbeat in the fetus, although the baby could not live. There was a vigil in Dublin on Saturday, Nov. 17. 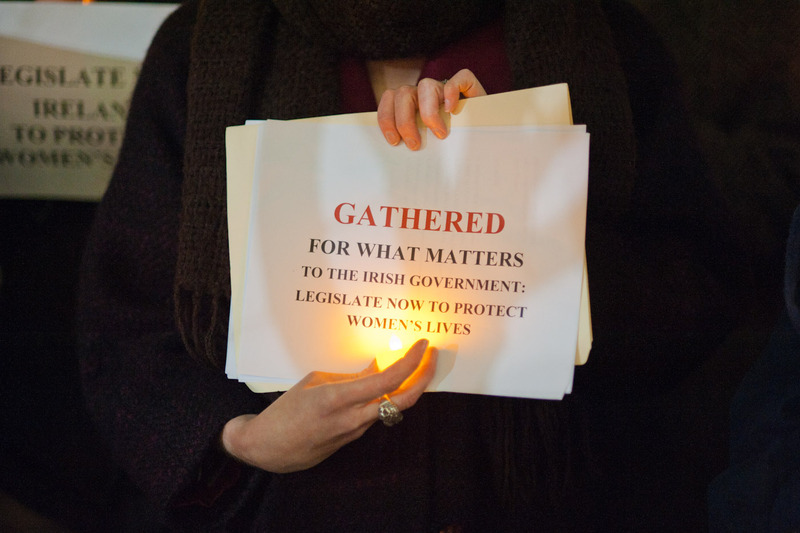 There were vigils protesting the death of Savita Halappanavar last week, organized by Belinda McKeon and Max McGuinness. The death sparked passionate feelings in Ireland, and there was a march in Dublin attended by thousands. We asked Belinda a few questions about why she thought it was important for New Yorkers to march as well. 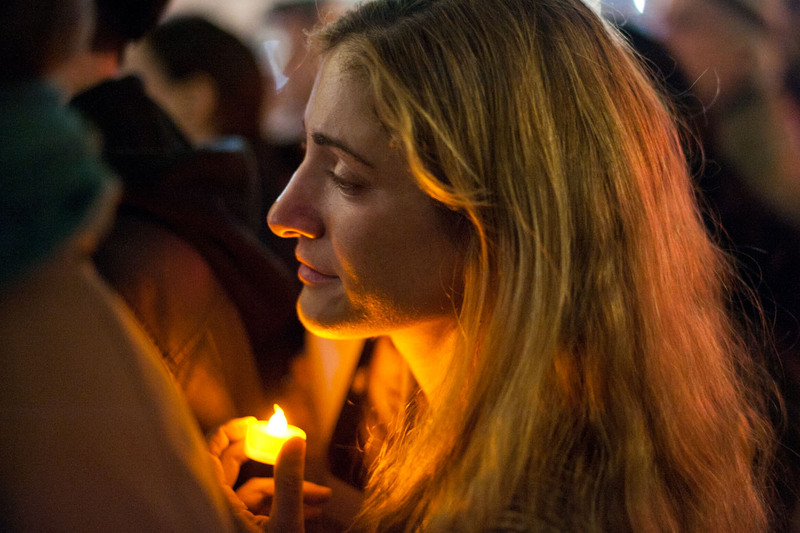 NYIA: Why was it important to organize vigils like this in New York, so far from where the events happened? what was your impetus to help make it happen? 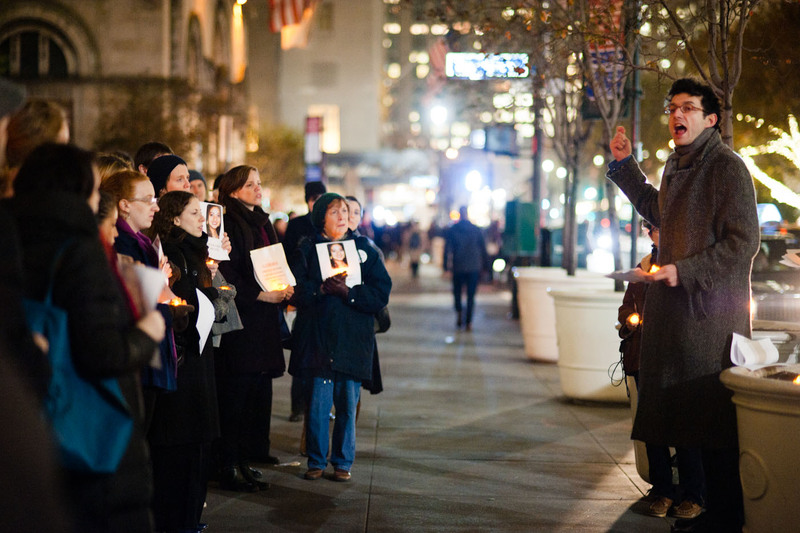 what do you think vigils like this can accomplish? BM: Distance doesn’t come into it; this is a breach of human rights and therefore it is a matter of international concern. That much was evident from the first morning the news story of Savita Halappanavar’s death broke; the international media picked up on it almost as quickly as did the Irish media. Max McGuinness and I are both Irish citizens who live and work in the US. Like Irish citizens all around the world, we were appalled by what we read about on that Wednesday morning and, seeing that vigils and protests were planned around Ireland as well as in several European cities (and indeed elsewhere), we decided to organize vigils in New York so that people here could add their voice to the call on the Irish government to legislate for the X Case Ruling (1992) as a matter of urgency. We knew that outrage was felt not just by the Irish ex-pat community here but by Americans who had read about the case in the New York Times, on Jezebel and elsewhere. 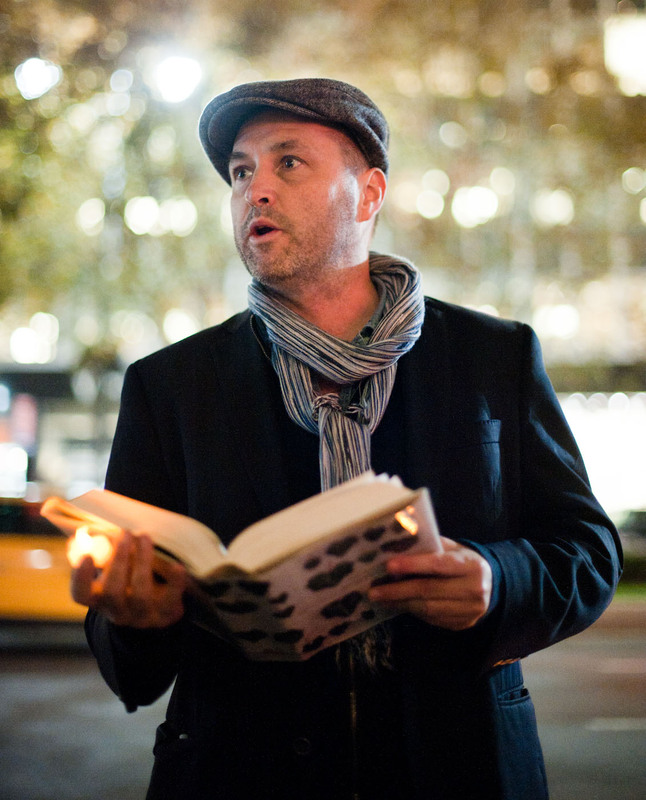 We both teach at universities here – Max at Columbia and I at Barnard – and so we had a sense of how much awareness and concern the story had generated outside of the Irish communities. This was a spur for us also. NYIA: How many people would you say attended, and were most f them Irish or Irish-American? Should people care who aren’t Irish, and why? BM: We had around 30 attendees at Barnard, the majority of whom were American – largely Barnard and Columbia students and faculty members. Some members of the Irish expat and Irish-American communities traveled up to 117th Street to join us for this protest. The following evening at the Consulate we had between 80 and 100 attendees. I’d say the majority here were either Irish ex-pats or Irish-American, but there were several attendees who belonged to neither group. And by the end of the protest, which took place on Park Avenue at rush hour, many more New Yorkers knew about the unacceptable state of affairs in Ireland where the protection of women’s lives are concerned. That’s what this issue is about, and it has been shamefully neglected by six successive Irish governments. That’s why people care, and should care, regardless of their nationality. NYIA: Obviously in the US there are many people who feel very strongly about life beginning at conception. Has the Catholic church weighed in, and/or have you had any negative feedback? We’ve had no negative feedback from conservative Catholic groups apart from comments on internet coverage of the vigils. The feedback has been overwhelmingly supportive.